I am so pleasantly surprised. I never intended to regularly use mineral makeup, because the other brands I've tried have "caked" on in places, and I couldn't stand it. In December, I had a chemical peel, after which the dermatologist recommend I use mineral makeup. I bought the starter kit with fairly light and light foundation, and to my surprise the light tone matched my shade perfectly! I also love the blush. I tried regular makeup after using Mineral Hygienics and hated the way it felt on my face. This stuff feels great, not heavy! I'm so glad I tried this brand, and will become a long-time customer. I have never written a review until now. I have been a consultant for various cosmetic companies throughout my 49 years. If you are on the fence about trying this product or another, please read this review. This review is for all the military/dependent gals who know how hard it is to get products overseas because there still are companies who do not ship to APO addresses. I started using Bare Escentuals in 2009 and then we moved to Germany with US Army. I could not conveniently order on-line as they did not have an APO option, I had to call them, they took over 2 months to get my product to me, and on top of that I had to fight to get my money refunded when some of my product never arrived. I was so mad at BE so I started reading magazines and reviews on-line and stumbled onto this company in October of 2010. I have a 20 year old daughter who models and she is very picky about her makeup as well. We both have fallen in love with this product!!! product is great for any age or skin type - do yourself a favor and order today. You will not be sorry that you took the leap to Mineral Hygienics. 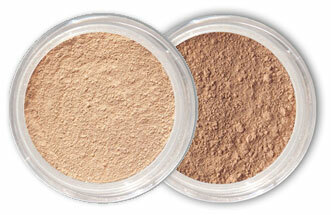 I have always wanted to find a mineral foundation that doesn`t irritate my skin. This foundation is really good for sensitive skin and it doesn't contain irritating ingredients. I have tried many different brands, but Mineral Hygienics is one of the few that really does it all. Mineral Hygienics is also the first mineral foundation I have used that makes my dehydrated skin have its natural glow. I will definitely buy it again and use it on people when I do their makeup. I am chemically sensitive and prefer to avoid products with parabens, which some makeup products contain. I was so happy to find Mineral Hygienics which contain much fewer and safer ingredients than most makeup. I love the ease of application, as well as the look and feel of your products. The fact that I don't have to sign up for automatic shipments is an added bonus.